so you can see that eval has only e underlined. but that also can be hard to notice in dense code. 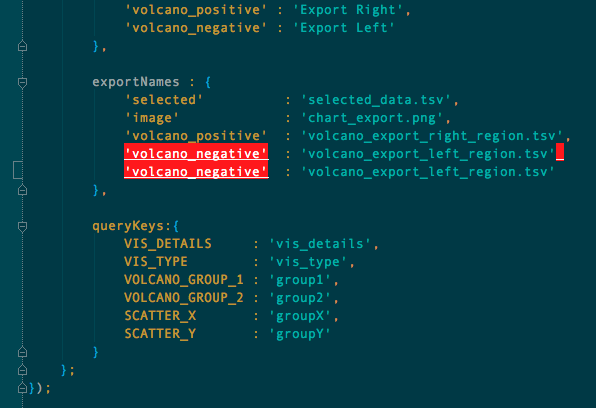 So can we somehow setup IDEA to underline the whole line where error occured? If not, i think this feature would be nice to have. No, it's impossible in iDEA to make whole line with error underlined. Error presentation of Sublime Text is prominent indeed. But such presentation isn't contextual. If there are a lot of errors code will look not so nice - all inside borders. Personally I liked your error presentation when symbol's background is filled with red color. Maybe, it's possible to highlight more than one character. 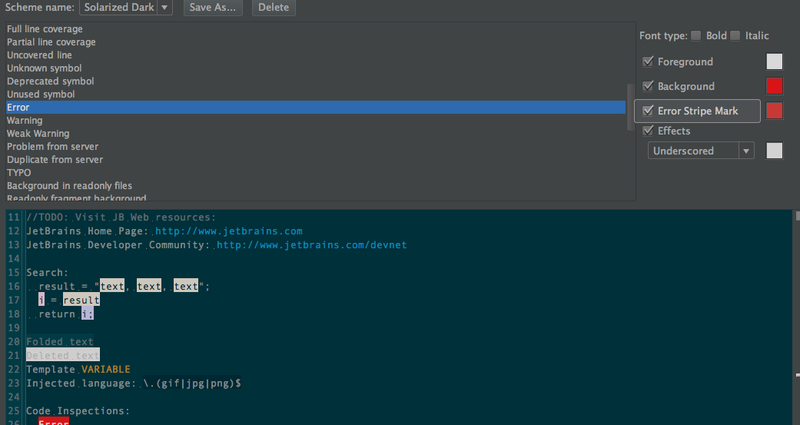 I've created http://youtrack.jetbrains.com/issue/WEB-7504. present there when we use object which we got trough ajax, so its perfectly normal that idea can't know all his properties. but if the whole line was underlined / marked that marker wouldnt dissapear until you fix both errors.